How can the relation between cinema and politics be thought today? Between a cinema of politics and a politics of cinema, between politics as subject and as practice, between form and content? From Vertov’s cinematographic communism to the Dardenne brothers' social realism, from Straub-Huillet’s Brechtian dialectics to the aesthetic-emancipatory figures of Pedro Costa, from Guy Debord’s radical anti-cinema to the mainstream pamphlets of Oliver Stone, the quest for cinematographic representations of political resistance has taken many different forms and strategies over the course of a century. The multiple choices and pathways that have gradually been adopted, constantly clash with the relationship between theory and practice, representation and action, awareness and mobilization, experience and change. Is cinema today regaining some of its old forces and promises? Are we once again confronted with the questions that Serge Daney asked a few decades ago? As the French film critic wrote: “How can political statements be presented cinematographically? And how can they be made positive?”. These issues are central in a series of conversations in which contemporary perspectives on the relationship between cinema and politics are explored. Pedro Costa is also presenting ‘En Avant Jeunesse!’, ‘Ne change rien’ and ‘Centro Historico’ (Costa/Oliveira/Erice/Kaurasmaki) at Bozar; on February 3rd. 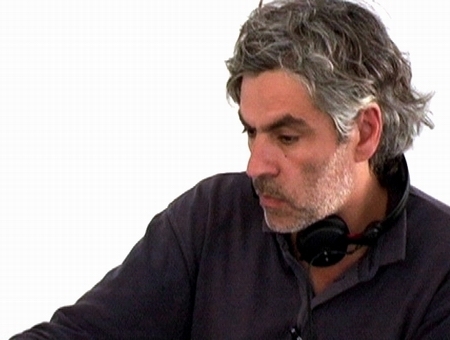 Pedro Costa’s visit to Brussels was initiated by Ecole de Recherche Graphique.